I love getting things for free. And I have a voracious and life-long love of books. So the first time I was offered a free review copy of a Yoga book (as part of my Yoga Lunchbox role) I was fairly swept off my feet. You mean, you really want to send me a free book? About Yoga? Now that’s an offer I can’t refuse. However, I’m now at a point where I do in fact refuse some of these offers. I’ve learnt that just because a book is free and about yoga, doesn’t mean that it will bring me joy, or even that I’ll want to read it. I’ve become increasingly selective about the book offers that I accept, developing an intuitive understanding of the kind of books I want to bring into my life and home. Yoga Therapy: Foundations, Methods, and Practices for Common Ailments was a book that I knew right away belonged on my bookshelf. The offer to read this book came in the midst of a year in which I was learning everything I could about human anatomy, in part because of a series of musculoskeletal injuries that seemed to have no end… It seemed to me that Yoga Therapy, written by renowned Yoga Teacher & Therapist Mark Stephens, could arm me with some practical tools to navigate this maze of injuries. Not only did it enable me to gain a more precise understanding of the anatomy and mechanics involved in my injuries, it also provided a clear, science-based framework for how to heal them using Yoga asana. It’s the kind of book that will be perpetually useful, a bible for treatment of all the injuries and health conditions that could occur over a lifetime. I imagine that it’s the kind of resource that I’ll dip into, for myself and for my friends and family, for many years to come. Sprained ankle? Yoga Therapy. Insomnia? Yoga Therapy. Piriformis Syndrome? Yoga Therapy. Depression? Yoga Therapy. 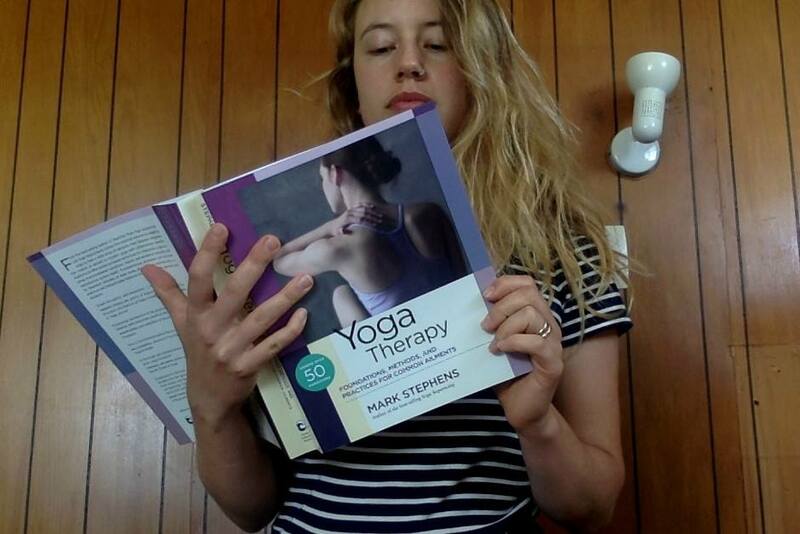 To give you more of an idea of the tone and content of Yoga Therapy I’m delighted to publish this interview with Mark Stephens, which will give you an insight into the nuanced yet clear approach that I’ve found so useful and appealing in his work. Q: In Yoga Therapy you talk about how today there are many different practices that we call “yoga,” and an infinite number of intentions a yogi can bring to a practice. How did you begin to define or discuss healing through yoga when the term yoga itself holds so many different meanings? Mark Stephens (MS): Healing is about cultivating a sense of wholeness, even if suffering from an acute, chronic, or even fatal condition. Yoga becomes a source of healing when one does asana, pranayama, and meditation practices in ways that are consciously in keeping with one’s own sense of wholeness and well-being. We thus underline the beauty of yoga being different things to different people, this in contrast to the various set or imposed definitions of yoga we find throughout its complex history, thereby liberating the practice from dogma in favor of what works in one’s life. Q: Throughout the book, you discuss a number of approaches to health, including an extensive section of the book devoted to Ayurvedic healing. You also do not shy away from western approaches to medicine. How do you reconcile these different, and sometimes competing knowledge frameworks in your own practice and teaching? MS: I’m not sure we can reconcile these different theories or frameworks. However, we can insist on evidence of efficacy in any model of the human being, disease, and healing. 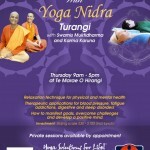 Does it – yoga practice, Ayurvedic practices, western medical practices – work and do no harm? And does it work similarly with different people? Is there replicable evidence to support it? If so, it is medicine; if not, it is not medicine. Although it can be a tough sell, we need to move the yoga and ayurvedic communities away from dogmatic assertions that are often false or dangerous, such as the idea in Ayurveda that bloodletting can reduce fever, or in yoga that even someone who is hypermobile in her joints should keep stretching the related muscles. Meanwhile, we need to work with the western medical community to highlight the limitations and dangers of many of its practices and to show how yoga can be a beneficial complement to many of its treatments. Q: Many yoga classes offer a standard asana practice with modifications that, often due to the class size, are not tailored to individual students’ needs or ability levels. What guidance can you offer students who are not receiving individualized instruction on how to develop a personalized asana practice? MS: Especially in large classes, it is important for teachers to offer at least general modifications (including the use of props) in the same breaths in which they are also guiding the class as a whole. Meanwhile, the best guidance we can give our students is to remind them that the best teacher they will ever have is inside, that it speaks to them and provides guidance in every breath, in every asana. It’s helpful to teach our students how to “play the edge,” then encourage them to do just that through each class. We’ve got to teach breathing – ujjayi, with balance (sama vrtti) and natural pauses (antara andbahya kumbhakas), as otherwise the edges are blurred, the inner communication disturbed, and the practice less clear. Q: You talk about how those who practice yoga often feel good and take additional steps to care for their health. As yoga becomes increasingly common in Western societies, you also mention the increasing amounts of stress and economic pressure that many people face. Do you see yoga as a viable exercise for coping with these challenges? MS: My motivation in teaching yoga is very much related to the motivation that made me into a social change activist in my teens. It’s about making the world a better place for all – more open, more kind, more egalitarian. I believe that with yoga we are changing the world one breath at a time. If we breathe deeply and consciously, we feel more deeply and become more conscious in our lives, we’re better able to cope with challenges conditions, and we’re more apt to act in honourable ways in our relationships. Q: In the section of your book focused on the Integumentary system, you mention the prevalence of articles and books that link a specific asana sequence to a particular health benefit, such as clear skin. Do you find these discussions to be limiting in terms of how they frame the benefits of an asana practice? MS: Yes, it’s a little annoying when someone claims without a shred of evidence that this or that asana will cure acne, lymphatic cancer, vertigo or whatever else. We need to convey that yoga is about general health and wellbeing while continuing to learn about how specific practices or sequences can help heal certain conditions. At the same time, if someone is motivated to try yoga because he or she is led to believe it might clear their skin, I’m okay with at that, especially if it gets them into doing a consistent practice, one effect of which might be healthier skin that reflects a healthier bodymind. Q: Many therapeutic practices discussed in the book are unavailable to incarcerated populations, and others who you have worked with through the Yoga Inside Foundation. Reflecting on your work with students who are limited to alternative settings, how critical is it to make therapeutic practices, including yoga, available to people outside of the traditional studio space? MS: The friend I started Yoga Inside with in 1997, James Wvinner, is a Chicago native who is presently making a documentary film on how yoga continues to help the incarcerated and others with extreme life difficulties to change the lives for the better. Whether it’s the incarcerated, homeless, veterans with PTSD, women in protective shelters or undocumented farmworkers, we can make a significant difference in people’s lives by offering them the therapeutic tools of yoga. Q: Throughout your over 25 years of practicing yoga you have incorporated a variety of styles and methods including Iyengar, Ashtanga Vinyasa, and vinyasa flow, among others. Over time how has your implementation of these styles evolved in terms of your own practice and work as a yoga therapist? MS: I’m no longer interested in any “styles” or “systems” of yoga, and I certainly don’t think of them when practicing or teaching. Instead, I look upon the myriad yoga practices like a buffet from which can take what they want or need. Rather than trying to fit students into a stylized box of yoga practices, let’s design and teach yoga practices that draw from the buffet in just the ways suggested by the conditions and intentions of students in our classes. Amplify this when working as a yoga therapist in a one-to-one way with a client. 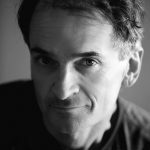 Mark Stephens is a dedicated yoga student whose personal experience of yoga’s promise to make life better inspires him to share the practice through teaching and scholarly writing. Described by Yoga Journal as “the teacher’s teacher,” he is a certified yoga therapist, member of the International Association of Yoga Therapists, and author of the international bestsellers Teaching Yoga, Yoga Sequencing, and Yoga Adjustments, which are now in nine languages. His newest book is Yoga Therapy: Foundations, Methods, and Practices for Common Ailments (North Atlantic Books, Nov. 2017).